Epic Games is teasing the two new heroes that are coming to Paragon soon, and since the studio is keeping with its ‘every three weeks' mantra (Yin was the last one just a few days ago), this means than we should get the first one early April. Morigesh and Revenant are the two upcoming heroes, both of them ranged. 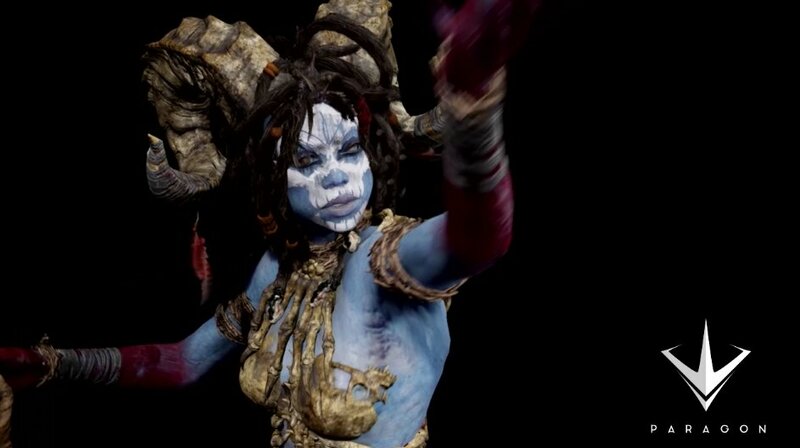 Morigesh is a powerful spirit bent on destroying The Fey, and she sports some wicked horns and blue skin, which is in fact a vessel that she stole from a woman. The doll she holds on her hand is probably the source of some of her powers, but Epic Games is being hush-hush about it for now. As for the Revenant, his story will be revealed in the coming month and he will be the first ranged Marauder in about a year. You can take a look at a short Morigesh animation in the official post.